NUMS has announced fourth merit list for Wah Medical College. NUMS was admitting authority for Wah Medical College. Thousands of students applied for Wah Medical College but due to limited seats available only very few are able to secure admission. Their merit is not very high, highest merit for open merit seats is 88.97272727 and lowest merit is 81.79090909. However merit for Foreign/Dual Nationals is very low, highest merit is 83.86287879 and lowest merit is 56.71818182. 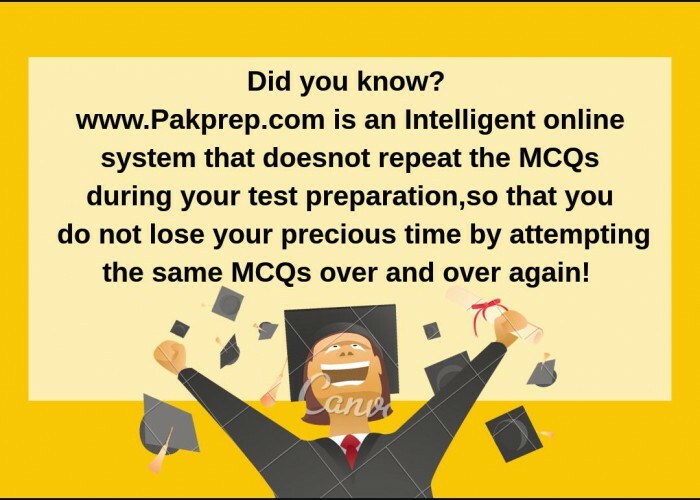 This entry was posted in NUMS and tagged 6th merit list WAH MEDICAL COLLEGE, Army Medical College, Army medical College 2018, Army medical College Admission, Army medical College Admission date, Army medical College Admission dates, Army medical College Admissions, Army medical College eligibility, Army medical College Eligibility criteria, Army medical College Entry Test, Army medical College Entry Test date, Army medical College Entry Test dates, Army medical College entry test online preparation, Army medical College entry test syllabus, Army medical College MBBS, Army medical College MBBS Admission, Army medical College MBBS admission date, Army medical College MBBS Registration, Army medical College MBBS Registration dates, Army medical College MDCAT test, Army medical College MDCAT test date, Army medical College MDCAT test dates, Army medical College MDCAT test past paper, Army medical College MDCAT test past papers, Army medical College MDCAT test pattern, Army Medical College Merit list, Army medical College Merit list 2017, Army medical College Merit list 2018, Army medical College MOCK test, Army medical College past paper, Army medical College past papers, Army medical College registration, Army medical College registration date, Army medical College sample Biology MCQs, Army medical College sample Biology MCQs with answer, Army medical College sample Biology MCQs with answers, Army medical College sample Biology MCQs with explanation, Army medical College sample Biology question, Army medical College sample Biology question with answer, Army medical College sixth Merit List, Army medical College sixth Merit List 2017, Army medical College sixth Merit List 2018, Army medical College sixth Merit List for MBBS, Army medical College sixth Merit List for MBBS 2017, Army medical College sixth Merit List for MBBS 2018, Army medical College sixth Merit List for MBBS admission, Army medical College sixth Merit List for MBBS admission 2017, Army medical College sixth Merit List for MBBS admission 2018, Army medical College sixth Merit List for MBBS admissions, Army medical College sixth Merit List for MBBS admissions 2017, Army medical College sixth Merit List for MBBS admissions 2018, Army medical College sixth Merit List of Open Merit Seats for MBBS, Army medical College sixth Merit List of Open Merit Seats for MBBS 2017, Army medical College sixth Merit List of Open Merit Seats for MBBS 2018, Army medical College sixth Merit List of Open Merit Seats for MBBS admission, Army medical College sixth Merit List of Open Merit Seats for MBBS admission 2017, Army medical College sixth Merit List of Open Merit Seats for MBBS admission 2018, Army medical College sixth Merit List of Open Merit Seats for MBBS admissions, Army medical College sixth Merit List of Open Merit Seats for MBBS admissions 2017, Army medical College sixth Merit List of Open Merit Seats for MBBS admissions 2018, Biology MCQs for Army medical College entry test, Biology MCQs for WAH MEDICAL COLLEGE, Chemistry MCQs for Army medical College entry test, Chemistry MCQs for WAH MEDICAL COLLEGE, How to apply for Army medical College, How to apply for WAH MEDICAL COLLEGE, How to Download Army medical College Roll Number Slip, How to Download WAH MEDICAL COLLEGE, MBBS for foreign merit list, MBBS foreign merit list, MBBS merit list for Army medical College, MBBS merit list for WAH MEDICAL COLLEGE, NUMS 6th merit list, NUMS 6th merit list 2017, NUMS 6th Merit List 2018, NUMS 6th Merit List for MBBS, NUMS 6th Merit List for MBBS 2017, NUMS 6th Merit List for MBBS 2018, NUMS 6th Merit List for MBBS admission, NUMS 6th Merit List for MBBS admission 2017, NUMS 6th Merit List for MBBS admission 2018, NUMS 6th Merit List for MBBS admissions, NUMS 6th Merit List for MBBS admissions 2017, NUMS 6th Merit List for MBBS admissions 2018, NUMS 6th Merit List of Open Merit Seats for MBBS, NUMS 6th Merit List of Open Merit Seats for MBBS 2017, NUMS 6th Merit List of Open Merit Seats for MBBS 2018, NUMS 6th Merit List of Open Merit Seats for MBBS admission, NUMS 6th Merit List of Open Merit Seats for MBBS admission 2017, NUMS 6th Merit List of Open Merit Seats for MBBS admission 2018, NUMS 6th Merit List of Open Merit Seats for MBBS admissions, NUMS 6th Merit List of Open Merit Seats for MBBS admissions 2017, NUMS 6th Merit List of Open Merit Seats for MBBS admissions 2018, nums merit list, NUMS Merit list 2017, NUMS Merit list 2018, NUMS sample questions, WAH MEDICAL COLLEGE, WAH MEDICAL COLLEGE 2018, WAH MEDICAL COLLEGE 6th Merit List, WAH MEDICAL COLLEGE 6th Merit List 2017, WAH MEDICAL COLLEGE 6th Merit List 2018, WAH MEDICAL COLLEGE 6th Merit List for MBBS, WAH MEDICAL COLLEGE 6th Merit List for MBBS 2017, WAH MEDICAL COLLEGE 6th Merit List for MBBS 2018, WAH MEDICAL COLLEGE 6th Merit List for MBBS admission, WAH MEDICAL COLLEGE 6th Merit List for MBBS admission 2017, WAH MEDICAL COLLEGE 6th Merit List for MBBS admission 2018, WAH MEDICAL COLLEGE 6th Merit List for MBBS admissions, WAH MEDICAL COLLEGE 6th Merit List for MBBS admissions 2017, WAH MEDICAL COLLEGE 6th Merit List for MBBS admissions 2018, WAH MEDICAL COLLEGE 6th Merit List of Open Merit Seats for MBBS, WAH MEDICAL COLLEGE 6th Merit List of Open Merit Seats for MBBS 2017, WAH MEDICAL COLLEGE 6th Merit List of Open Merit Seats for MBBS 2018, WAH MEDICAL COLLEGE 6th Merit List of Open Merit Seats for MBBS admission, WAH MEDICAL COLLEGE 6th Merit List of Open Merit Seats for MBBS admission 2017, WAH MEDICAL COLLEGE 6th Merit List of Open Merit Seats for MBBS admission 2018, WAH MEDICAL COLLEGE 6th Merit List of Open Merit Seats for MBBS admissions, WAH MEDICAL COLLEGE 6th Merit List of Open Merit Seats for MBBS admissions 2017, WAH MEDICAL COLLEGE 6th Merit List of Open Merit Seats for MBBS admissions 2018, Wah Medical College Admission, WAH MEDICAL COLLEGE Admission date, WAH MEDICAL COLLEGE Admission dates, Wah Medical College Admissions, WAH MEDICAL COLLEGE eligibility, WAH MEDICAL COLLEGE Eligibility criteria, WAH MEDICAL COLLEGE entry test, WAH MEDICAL COLLEGE Entry Test date, WAH MEDICAL COLLEGE Entry Test dates, WAH MEDICAL COLLEGE entry test online preparation, WAH MEDICAL COLLEGE entry test syllabus, WAH MEDICAL COLLEGE for foreign seats, WAH MEDICAL COLLEGE MBBS, WAH MEDICAL COLLEGE MBBS admission, WAH MEDICAL COLLEGE MBBS admission date, WAH MEDICAL COLLEGE MBBS foreign merit list, WAH MEDICAL COLLEGE MBBS Registration, WAH MEDICAL COLLEGE MBBS Registration dates, WAH MEDICAL COLLEGE MDCAT test, WAH MEDICAL COLLEGE MDCAT test date, WAH MEDICAL COLLEGE MDCAT test dates, WAH MEDICAL COLLEGE MDCAT test past paper, WAH MEDICAL COLLEGE MDCAT test past papers, WAH MEDICAL COLLEGE MDCAT test pattern, WAH MEDICAL COLLEGE Merit list, WAH MEDICAL COLLEGE Merit list 2017, WAH MEDICAL COLLEGE Merit list 2018, WAH MEDICAL COLLEGE MOCK test, WAH MEDICAL COLLEGE past paper, WAH MEDICAL COLLEGE Past Papers, WAH MEDICAL COLLEGE registration, WAH MEDICAL COLLEGE registration date, WAH MEDICAL COLLEGE Roll Number Slip, WAH MEDICAL COLLEGE sample Biology MCQs, WAH MEDICAL COLLEGE sample Biology MCQs with answer, WAH MEDICAL COLLEGE sample Biology MCQs with answers, WAH MEDICAL COLLEGE sample Biology MCQs with explanation, WAH MEDICAL COLLEGE sample Biology question, WAH MEDICAL COLLEGE sample Biology question with answer, WAH MEDICAL COLLEGE sample Biology question with answers, WAH MEDICAL COLLEGE sample Biology question with explanation, WAH MEDICAL COLLEGE sample Biology questions, WAH MEDICAL COLLEGE sample Biology questions with answer, WAH MEDICAL COLLEGE sample Biology questions with answers, WAH MEDICAL COLLEGE sample Biology questions with explanation, WAH MEDICAL COLLEGE sample Chemistry MCQs, WAH MEDICAL COLLEGE sample Chemistry MCQs with answer, WAH MEDICAL COLLEGE sample Chemistry MCQs with answers, WAH MEDICAL COLLEGE sample Chemistry MCQs with explanation, WAH MEDICAL COLLEGE sample Chemistry question, WAH MEDICAL COLLEGE sample Chemistry question with answer, WAH MEDICAL COLLEGE sample Chemistry question with answers, WAH MEDICAL COLLEGE sample Chemistry question with explanation, WAH MEDICAL COLLEGE sample Chemistry questions, WAH MEDICAL COLLEGE sample Chemistry questions with answer, WAH MEDICAL COLLEGE sample Chemistry questions with answers, WAH MEDICAL COLLEGE sample Chemistry questions with explanation, WAH MEDICAL COLLEGE sample MCQs, WAH MEDICAL COLLEGE sample Physics MCQs, WAH MEDICAL COLLEGE sample Physics MCQs with answer, WAH MEDICAL COLLEGE sample Physics MCQs with answers, WAH MEDICAL COLLEGE sample Physics MCQs with explanation, WAH MEDICAL COLLEGE sample Physics question, WAH MEDICAL COLLEGE sample Physics question with answer, WAH MEDICAL COLLEGE sample Physics question with answers, WAH MEDICAL COLLEGE sample Physics question with explanation, WAH MEDICAL COLLEGE sample Physics questions, WAH MEDICAL COLLEGE sample Physics questions with answer, WAH MEDICAL COLLEGE sample Physics questions with answers, WAH MEDICAL COLLEGE sample Physics questions with explanation, WAH MEDICAL COLLEGE Sample question, WAH MEDICAL COLLEGE sixth Merit List, WAH MEDICAL COLLEGE sixth Merit List 2017, WAH MEDICAL COLLEGE sixth Merit List 2018, WAH MEDICAL COLLEGE sixth Merit List for MBBS, WAH MEDICAL COLLEGE sixth Merit List for MBBS 2017, WAH MEDICAL COLLEGE sixth Merit List for MBBS 2018, WAH MEDICAL COLLEGE sixth Merit List for MBBS admission, WAH MEDICAL COLLEGE sixth Merit List for MBBS admission 2017, WAH MEDICAL COLLEGE sixth Merit List for MBBS admission 2018, WAH MEDICAL COLLEGE sixth Merit List for MBBS admissions, WAH MEDICAL COLLEGE sixth Merit List for MBBS admissions 2017, WAH MEDICAL COLLEGE sixth Merit List for MBBS admissions 2018, WAH MEDICAL COLLEGE sixth Merit List of Open Merit Seats for MBBS, WAH MEDICAL COLLEGE sixth Merit List of Open Merit Seats for MBBS 2017, WAH MEDICAL COLLEGE sixth Merit List of Open Merit Seats for MBBS 2018, WAH MEDICAL COLLEGE sixth Merit List of Open Merit Seats for MBBS admission, WAH MEDICAL COLLEGE sixth Merit List of Open Merit Seats for MBBS admission 2017, WAH MEDICAL COLLEGE sixth Merit List of Open Merit Seats for MBBS admission 2018, WAH MEDICAL COLLEGE sixth Merit List of Open Merit Seats for MBBS admissions, WAH MEDICAL COLLEGE sixth Merit List of Open Merit Seats for MBBS admissions 2017, WAH MEDICAL COLLEGE sixth Merit List of Open Merit Seats for MBBS admissions 2018, WAH MEDICAL COLLEGE Syllabus, WAH MEDICAL COLLEGE Syllabus 2018, WAH MEDICAL COLLEGE Test 2018, WAH MEDICAL COLLEGE Test date, WAH MEDICAL COLLEGE Test dates, WAH MEDICAL COLLEGE test pattern on February 12, 2019 by Pakprep.com Admin. NUMS has announced fourth merit list for Wah Medical College. NUMS was admitting authority for Wah Medical College. Thousands of students applied for Wah Medical College but due to limited seats available only very few are able to secure admission. Their merit is not very high, highest merit for open merit seats is 88.97272727 and lowest merit is 82.12900433. For Foreign/Dual Nationals highest merit is 83.86287879 and lowest merit is 64.89090909. This entry was posted in NUMS and tagged 4th merit list WAH MEDICAL COLLEGE, Army Medical College, Army medical College 2018, Army medical College Admission, Army medical College Admission date, Army medical College Admission dates, Army medical College Admissions, Army medical College eligibility, Army medical College Eligibility criteria, Army medical College Entry Test, Army medical College Entry Test date, Army medical College Entry Test dates, Army medical College entry test online preparation, Army medical College entry test syllabus, Army medical College fourth Merit List, Army medical College fourth Merit List 2017, Army medical College fourth Merit List 2018, Army medical College fourth Merit List for MBBS, Army medical College fourth Merit List for MBBS 2017, Army medical College fourth Merit List for MBBS 2018, Army medical College fourth Merit List for MBBS admission, Army medical College fourth Merit List for MBBS admission 2017, Army medical College fourth Merit List for MBBS admission 2018, Army medical College fourth Merit List for MBBS admissions, Army medical College fourth Merit List for MBBS admissions 2017, Army medical College fourth Merit List for MBBS admissions 2018, Army medical College fourth Merit List of Open Merit Seats for MBBS, Army medical College fourth Merit List of Open Merit Seats for MBBS 2017, Army medical College fourth Merit List of Open Merit Seats for MBBS 2018, Army medical College fourth Merit List of Open Merit Seats for MBBS admission, Army medical College fourth Merit List of Open Merit Seats for MBBS admission 2017, Army medical College fourth Merit List of Open Merit Seats for MBBS admission 2018, Army medical College fourth Merit List of Open Merit Seats for MBBS admissions, Army medical College fourth Merit List of Open Merit Seats for MBBS admissions 2017, Army medical College fourth Merit List of Open Merit Seats for MBBS admissions 2018, Army medical College MBBS, Army medical College MBBS Admission, Army medical College MBBS admission date, Army medical College MBBS Registration, Army medical College MBBS Registration dates, Army medical College MDCAT test, Army medical College MDCAT test date, Army medical College MDCAT test dates, Army medical College MDCAT test past paper, Army medical College MDCAT test past papers, Army medical College MDCAT test pattern, Army Medical College Merit list, Army medical College Merit list 2017, Army medical College Merit list 2018, Army medical College MOCK test, Army medical College past paper, Army medical College past papers, Army medical College registration, Army medical College registration date, Army medical College sample Biology MCQs, Army medical College sample Biology MCQs with answer, Army medical College sample Biology MCQs with answers, Army medical College sample Biology MCQs with explanation, Army medical College sample Biology question, Army medical College sample Biology question with answer, Biology MCQs for Army medical College entry test, Biology MCQs for WAH MEDICAL COLLEGE, Chemistry MCQs for Army medical College entry test, Chemistry MCQs for WAH MEDICAL COLLEGE, How to apply for Army medical College, How to apply for WAH MEDICAL COLLEGE, How to Download Army medical College Roll Number Slip, How to Download WAH MEDICAL COLLEGE, MBBS for foreign merit list, MBBS foreign merit list, MBBS merit list for Army medical College, MBBS merit list for WAH MEDICAL COLLEGE, NUMS 4th merit list, NUMS 4th merit list 2017, NUMS 4th Merit List 2018, NUMS 4th Merit List for MBBS, NUMS 4th Merit List for MBBS 2017, NUMS 4th Merit List for MBBS 2018, NUMS 4th Merit List for MBBS admission, NUMS 4th Merit List for MBBS admission 2017, NUMS 4th Merit List for MBBS admission 2018, NUMS 4th Merit List for MBBS admissions, NUMS 4th Merit List for MBBS admissions 2017, NUMS 4th Merit List for MBBS admissions 2018, NUMS 4th Merit List of Open Merit Seats for MBBS, NUMS 4th Merit List of Open Merit Seats for MBBS 2017, NUMS 4th Merit List of Open Merit Seats for MBBS 2018, NUMS 4th Merit List of Open Merit Seats for MBBS admission, NUMS 4th Merit List of Open Merit Seats for MBBS admission 2017, NUMS 4th Merit List of Open Merit Seats for MBBS admission 2018, NUMS 4th Merit List of Open Merit Seats for MBBS admissions, NUMS 4th Merit List of Open Merit Seats for MBBS admissions 2017, NUMS 4th Merit List of Open Merit Seats for MBBS admissions 2018, nums merit list, NUMS Merit list 2017, NUMS Merit list 2018, NUMS sample questions, WAH MEDICAL COLLEGE, WAH MEDICAL COLLEGE 2018, WAH MEDICAL COLLEGE 4th Merit List, WAH MEDICAL COLLEGE 4th Merit List 2017, WAH MEDICAL COLLEGE 4th Merit List 2018, WAH MEDICAL COLLEGE 4th Merit List for MBBS, WAH MEDICAL COLLEGE 4th Merit List for MBBS 2017, WAH MEDICAL COLLEGE 4th Merit List for MBBS 2018, WAH MEDICAL COLLEGE 4th Merit List for MBBS admission, WAH MEDICAL COLLEGE 4th Merit List for MBBS admission 2017, WAH MEDICAL COLLEGE 4th Merit List for MBBS admission 2018, WAH MEDICAL COLLEGE 4th Merit List for MBBS admissions, WAH MEDICAL COLLEGE 4th Merit List for MBBS admissions 2017, WAH MEDICAL COLLEGE 4th Merit List for MBBS admissions 2018, WAH MEDICAL COLLEGE 4th Merit List of Open Merit Seats for MBBS, WAH MEDICAL COLLEGE 4th Merit List of Open Merit Seats for MBBS 2017, WAH MEDICAL COLLEGE 4th Merit List of Open Merit Seats for MBBS 2018, WAH MEDICAL COLLEGE 4th Merit List of Open Merit Seats for MBBS admission, WAH MEDICAL COLLEGE 4th Merit List of Open Merit Seats for MBBS admission 2017, WAH MEDICAL COLLEGE 4th Merit List of Open Merit Seats for MBBS admission 2018, WAH MEDICAL COLLEGE 4th Merit List of Open Merit Seats for MBBS admissions, WAH MEDICAL COLLEGE 4th Merit List of Open Merit Seats for MBBS admissions 2017, WAH MEDICAL COLLEGE 4th Merit List of Open Merit Seats for MBBS admissions 2018, Wah Medical College Admission, WAH MEDICAL COLLEGE Admission date, WAH MEDICAL COLLEGE Admission dates, Wah Medical College Admissions, WAH MEDICAL COLLEGE eligibility, WAH MEDICAL COLLEGE Eligibility criteria, WAH MEDICAL COLLEGE entry test, WAH MEDICAL COLLEGE Entry Test date, WAH MEDICAL COLLEGE Entry Test dates, WAH MEDICAL COLLEGE entry test online preparation, WAH MEDICAL COLLEGE entry test syllabus, WAH MEDICAL COLLEGE for foreign seats, WAH MEDICAL COLLEGE fourth Merit List, WAH MEDICAL COLLEGE fourth Merit List 2017, WAH MEDICAL COLLEGE fourth Merit List 2018, WAH MEDICAL COLLEGE fourth Merit List for MBBS, WAH MEDICAL COLLEGE fourth Merit List for MBBS 2017, WAH MEDICAL COLLEGE fourth Merit List for MBBS 2018, WAH MEDICAL COLLEGE fourth Merit List for MBBS admission, WAH MEDICAL COLLEGE fourth Merit List for MBBS admission 2017, WAH MEDICAL COLLEGE fourth Merit List for MBBS admission 2018, WAH MEDICAL COLLEGE fourth Merit List for MBBS admissions, WAH MEDICAL COLLEGE fourth Merit List for MBBS admissions 2017, WAH MEDICAL COLLEGE fourth Merit List for MBBS admissions 2018, WAH MEDICAL COLLEGE fourth Merit List of Open Merit Seats for MBBS, WAH MEDICAL COLLEGE fourth Merit List of Open Merit Seats for MBBS 2017, WAH MEDICAL COLLEGE fourth Merit List of Open Merit Seats for MBBS 2018, WAH MEDICAL COLLEGE fourth Merit List of Open Merit Seats for MBBS admission, WAH MEDICAL COLLEGE fourth Merit List of Open Merit Seats for MBBS admission 2017, WAH MEDICAL COLLEGE fourth Merit List of Open Merit Seats for MBBS admission 2018, WAH MEDICAL COLLEGE fourth Merit List of Open Merit Seats for MBBS admissions, WAH MEDICAL COLLEGE fourth Merit List of Open Merit Seats for MBBS admissions 2017, WAH MEDICAL COLLEGE fourth Merit List of Open Merit Seats for MBBS admissions 2018, WAH MEDICAL COLLEGE MBBS, WAH MEDICAL COLLEGE MBBS admission, WAH MEDICAL COLLEGE MBBS admission date, WAH MEDICAL COLLEGE MBBS foreign merit list, WAH MEDICAL COLLEGE MBBS Registration, WAH MEDICAL COLLEGE MBBS Registration dates, WAH MEDICAL COLLEGE MDCAT test, WAH MEDICAL COLLEGE MDCAT test date, WAH MEDICAL COLLEGE MDCAT test dates, WAH MEDICAL COLLEGE MDCAT test past paper, WAH MEDICAL COLLEGE MDCAT test past papers, WAH MEDICAL COLLEGE MDCAT test pattern, WAH MEDICAL COLLEGE Merit list, WAH MEDICAL COLLEGE Merit list 2017, WAH MEDICAL COLLEGE Merit list 2018, WAH MEDICAL COLLEGE MOCK test, WAH MEDICAL COLLEGE past paper, WAH MEDICAL COLLEGE Past Papers, WAH MEDICAL COLLEGE registration, WAH MEDICAL COLLEGE registration date, WAH MEDICAL COLLEGE Roll Number Slip, WAH MEDICAL COLLEGE sample Biology MCQs, WAH MEDICAL COLLEGE sample Biology MCQs with answer, WAH MEDICAL COLLEGE sample Biology MCQs with answers, WAH MEDICAL COLLEGE sample Biology MCQs with explanation, WAH MEDICAL COLLEGE sample Biology question, WAH MEDICAL COLLEGE sample Biology question with answer, WAH MEDICAL COLLEGE sample Biology question with answers, WAH MEDICAL COLLEGE sample Biology question with explanation, WAH MEDICAL COLLEGE sample Biology questions, WAH MEDICAL COLLEGE sample Biology questions with answer, WAH MEDICAL COLLEGE sample Biology questions with answers, WAH MEDICAL COLLEGE sample Biology questions with explanation, WAH MEDICAL COLLEGE sample Chemistry MCQs, WAH MEDICAL COLLEGE sample Chemistry MCQs with answer, WAH MEDICAL COLLEGE sample Chemistry MCQs with answers, WAH MEDICAL COLLEGE sample Chemistry MCQs with explanation, WAH MEDICAL COLLEGE sample Chemistry question, WAH MEDICAL COLLEGE sample Chemistry question with answer, WAH MEDICAL COLLEGE sample Chemistry question with answers, WAH MEDICAL COLLEGE sample Chemistry question with explanation, WAH MEDICAL COLLEGE sample Chemistry questions, WAH MEDICAL COLLEGE sample Chemistry questions with answer, WAH MEDICAL COLLEGE sample Chemistry questions with answers, WAH MEDICAL COLLEGE sample Chemistry questions with explanation, WAH MEDICAL COLLEGE sample MCQs, WAH MEDICAL COLLEGE sample Physics MCQs, WAH MEDICAL COLLEGE sample Physics MCQs with answer, WAH MEDICAL COLLEGE sample Physics MCQs with answers, WAH MEDICAL COLLEGE sample Physics MCQs with explanation, WAH MEDICAL COLLEGE sample Physics question, WAH MEDICAL COLLEGE sample Physics question with answer, WAH MEDICAL COLLEGE sample Physics question with answers, WAH MEDICAL COLLEGE sample Physics question with explanation, WAH MEDICAL COLLEGE sample Physics questions, WAH MEDICAL COLLEGE sample Physics questions with answer, WAH MEDICAL COLLEGE sample Physics questions with answers, WAH MEDICAL COLLEGE sample Physics questions with explanation, WAH MEDICAL COLLEGE Sample question, WAH MEDICAL COLLEGE Syllabus, WAH MEDICAL COLLEGE Syllabus 2018, WAH MEDICAL COLLEGE Test 2018, WAH MEDICAL COLLEGE Test date, WAH MEDICAL COLLEGE Test dates, WAH MEDICAL COLLEGE test pattern on January 24, 2019 by Pakprep.com Admin.